Unicellular hair are present on the epidermis. Vascular bundles are radial. Xylem and phloem are present on separate radii. Xylem and phloem bundles are less than 6. Protoxylem lies towards periphery and metaxylem lies towards centre. 2. 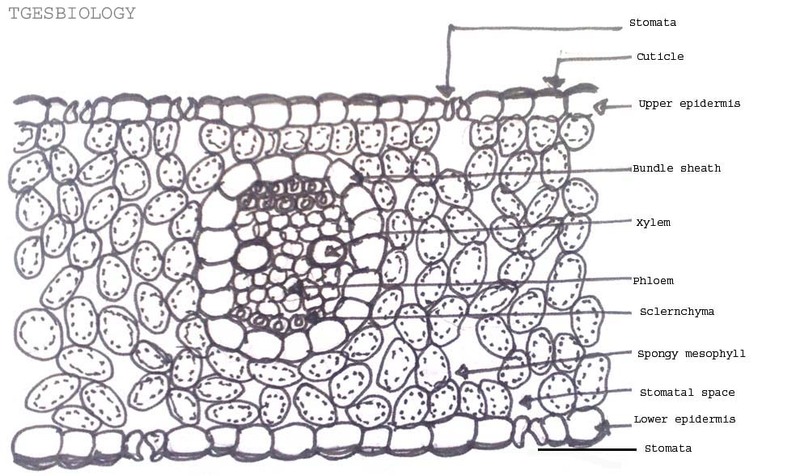 Slide showing transverse section of monocot root. Unicellular hairs are present on the epidermis. Xylem or phloem bundles are more than 5. 3. 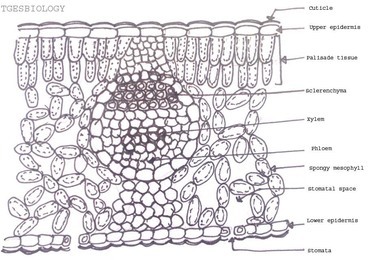 Slide showing transverse section of dicot stem. Multicellular hair present on the epidermis. Vascular bundles are arranged in a ring. 4. 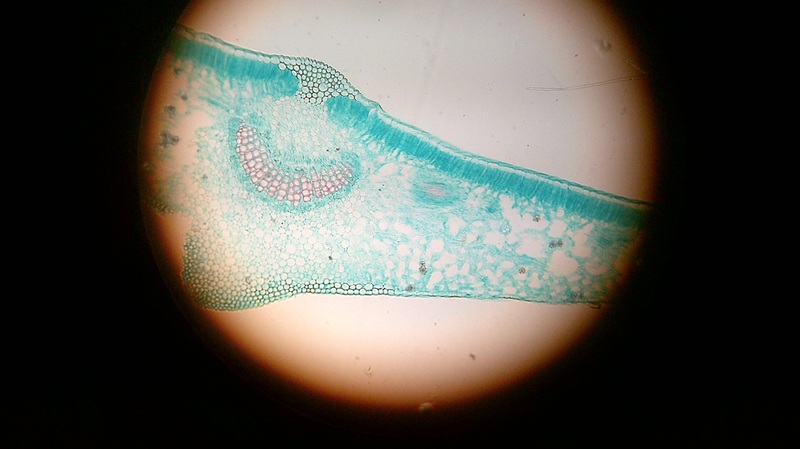 Slide showing transverse section of monocot stem. Cortex is not differentiated into endodermis and pericycle. Vascular bundles are scattered in the ground tissue. Vascular bundles are conjoint,collateral and closed, I,e cambium is absent. Each vascular bundle is surrounded by a bundle sheath. Xylem is y-shaped and metaxylem lies towards periphery. Presence of upper and lower epidermis. Stomata only on the lower epidermis. Stomata are present on both the upper and lower epidermis. 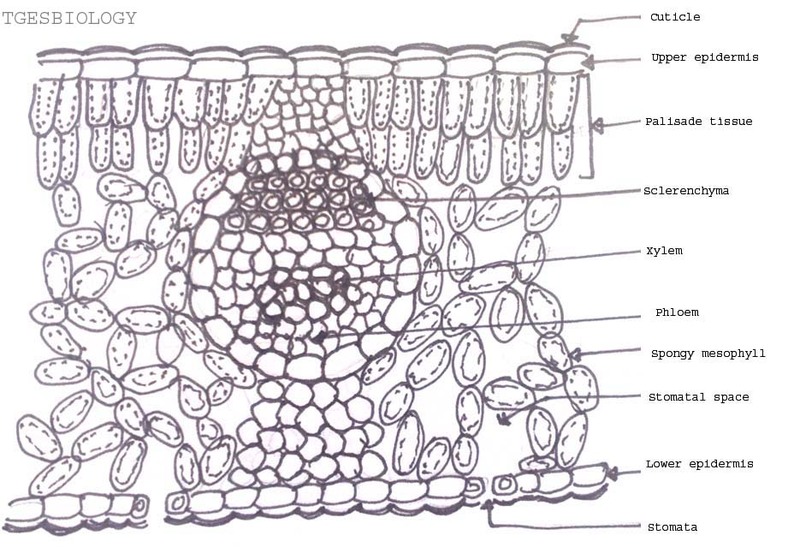 Mesophyll cells are not differentiated into palisade and spongy parenchyma. Slide showing germinating pollen grains. Pollen grain are seen with the pollen tubes. 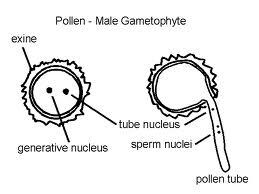 Pollen tube carries the tube nucleus followed by male gametes. Some of the pollen grains are non-viable as they are not germinating.